Elvis ‘Aaron’ Presley was born in Tupelo, Mississippi and incidentally his father was four years younger than his mother. He was born on January 8, 1935 along with his identical twin brother. Unfortunately his brother was unable to survive as a result of miscarriage. He developed his initial liking for music by seeing the choir perform in his local church. At the age of 10, his father gave him a guitar as a birthday gift. He was a very shy kid and was afraid of singing in public. He learned guitar from observing others play and from classes his uncle gave him. When he had difficulty finding new friends in school, Elvis began to take his guitar to school everyday. He was described as a ‘music crazy’ kid by his peers. In 1948, he received a C in music, his music teacher told him that he had no aptitude for singing but Elvis wanted to prove her wrong. Soon Elvis decided to build a Personality Traits so that he could become more confident to perform in public. He started to learn the guitar with a neighbour and joined him and others in playing music in their housing complex. Soon Elvis had grown his sideburns and styled his long hair so that he could stand out from the crowd and be noticed. Soon he went on to participate in a talent show which made him popular in his school. In 1953 he graduated from high school and had decided to pursue music as a career. He began to write songs and record them at the local studio. He had never received any type of formal training in learning or reading music. He only studied and played music by listening to it carefully and repeating it in his mind. The songs he had written or his voice was not appreciated so Elvis took up the job of a truck driver in 1954. Soon Elvis with his new style and energy produced the song ‘That’s All right’. This song was played on the radio and soon people started calling in to find out who the singer was. This was the break Elvis needed. He popularized rock music in its early forms by creating a fusion between country music, rhythm and blues. In 1956, his first single ‘Heartbreak Hotel’ went on to become the number-one single in the U.S.
From here there was no looking back, he went on to give number of chart-topping numbers. He became enormously popular and soon he reached the status of a cultural icon in America. He popularized ‘Rock and Roll’ in America. His on-stage, movie performances are appreciated for his electric moves and trendy dressing style. Soon he entered Hollywood and made his debut in the film ‘Love Me Tender’ (1956). He went on to do many more than 20 films in his career. He was mostly cast in romantic roles but only some of them turned out to be very successful. His music was as popular as ever in the 1970’s and his fame had reached many European countries who were caught in the Rock and Roll craze. He was already considered a legend in the middle of his short career. He was able to sing in different genres with equal success. He was nominated for 14 Grammys out of which he was able to win 3. He is the best-selling solo performing artist in the history of recorded music. He received the Grammy Lifetime Achievement Award at the age of 36. His achievements speak for his talent and his popularity cannot be compared with any other. From being a shy boy who got a C in music, to becoming the first rock star the world has ever seen. 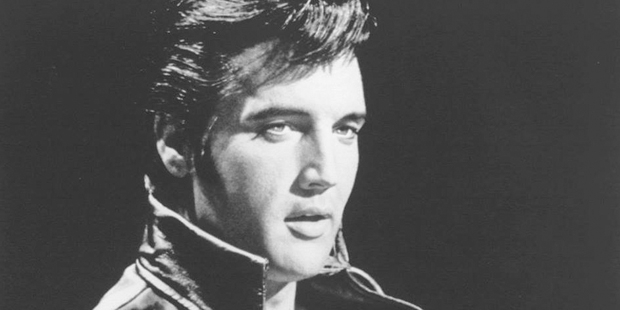 Elvis brought his brilliant music and acting skills to charm millions throughout the 1960’s and 70’s. Today he is still remembered for starting of the Rock and Roll revolution which had taken the music industry by storm. His ability to make music more appealing with live performances and new innovations have truly given him the name "King of Rock and Roll”. He had become the attraction for a whole nation obsessed with his good looks, voices and style. And his popularity has shown us that dedication and innovation go hand in hand to achieving blockbuster success.